Meet Pat Costen. 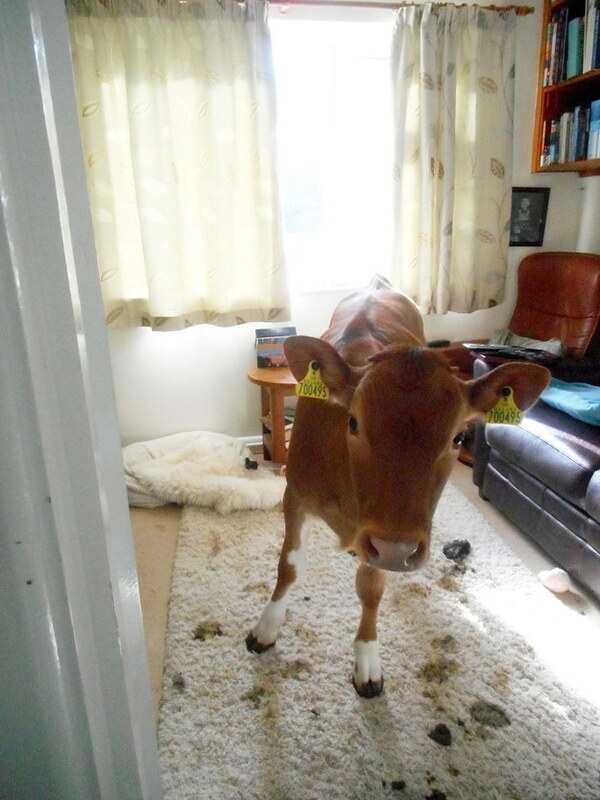 She lives in Guernsey and owns two cows. 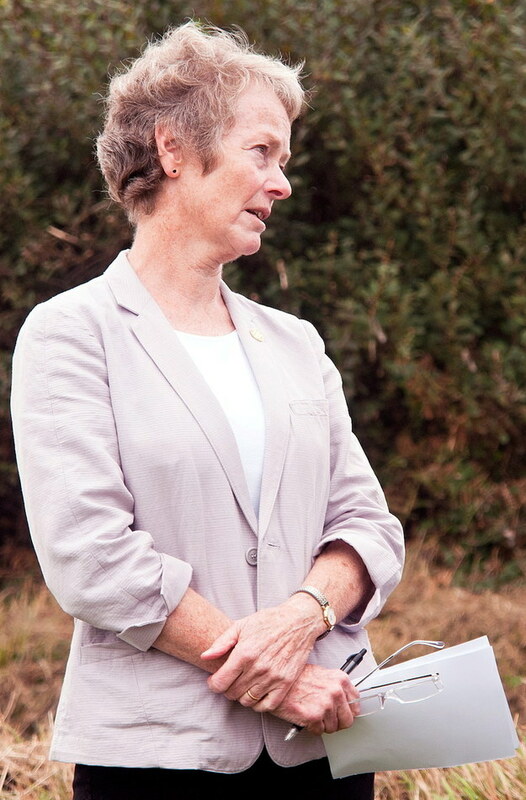 Costen is the president of La Societe Guernesiaise, a group created to encourage the study of the geography, geology, and natural history of Guernsey. Her cows are part of a conservation herd put together to graze nature reserves, the Daily Mail reported. And the animals recently decided to pay her a visit. Costen came out of the shower and was met by this face. Costen told the SWNS news agency: “I was in the shower and when I came out I could smell something. 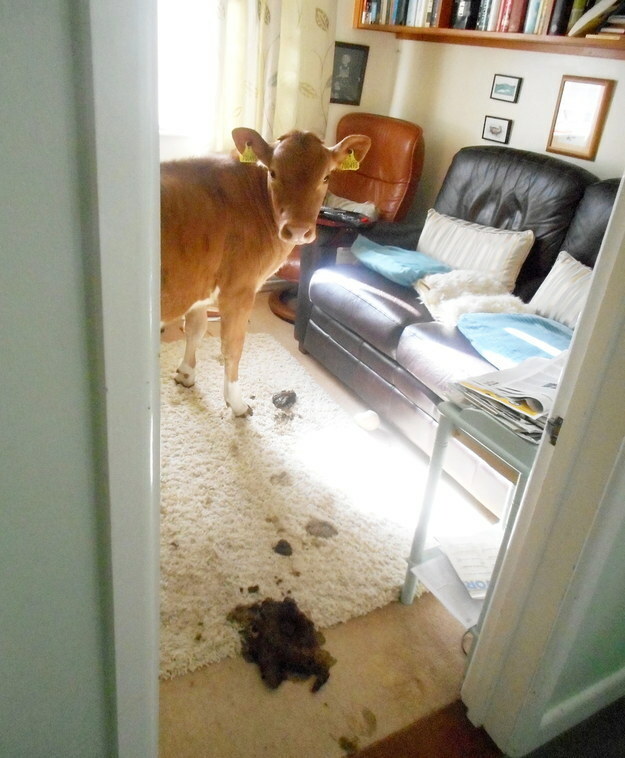 I looked over the bannister and there was a large cowpat. 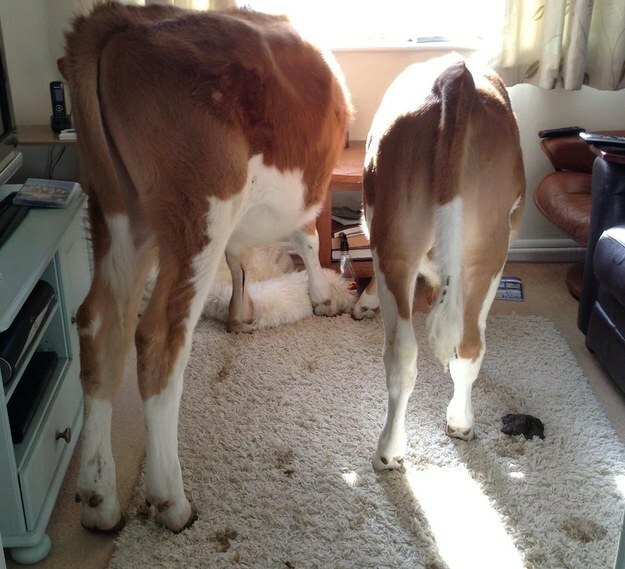 The 70-year-old described her calves as inquisitive “naughty boys”. 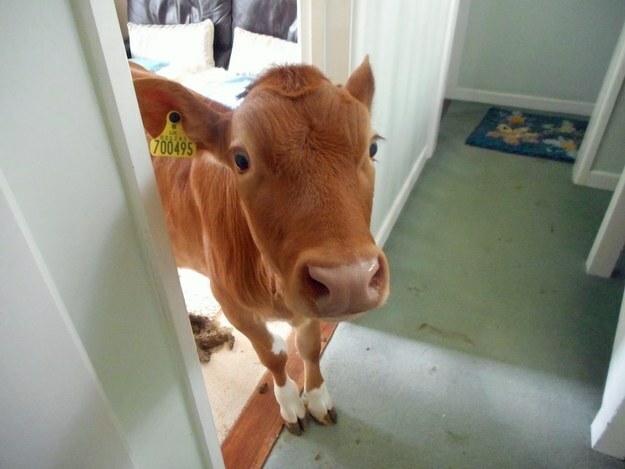 She said she knew the cows could open her door but had forgotten to lock it when she went into the shower. 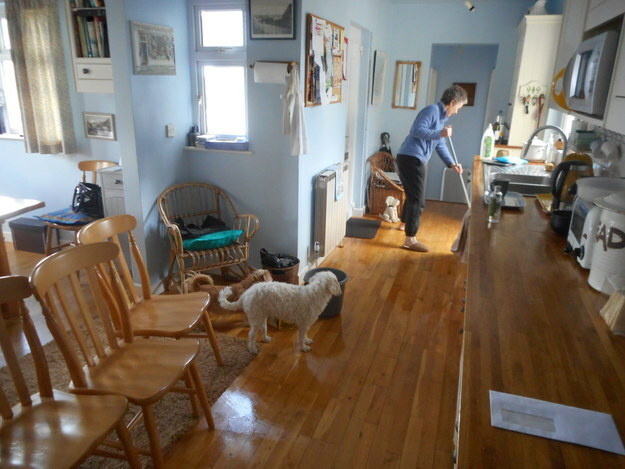 Apparently cleaning up afterwards wasn’t that hard.